Four artists imagine the world divided into nice, neat parcels. Monique Genton’s magnificent installation of colourful grassy squares reminds us of tidy lawns – the land-owner’s disciplining of nature. Toni Hakenscheid takes us into the mind of the child who possesses the world through a train set or a picture postcard – except these pictures are all from the real world! Martin Parr takes us around the globe looking for the perfect parking space. In an elaborate parody of corporate development, Mike Yuhasz encourages us to buy up all the land and resources of the Canadian North. Mike Yuhasz lives with his partner, Gwen, and daughter, Lila, in Dawson City, Yukon, where he works as Odd Gallery and residency coordinator for the Klondike Institute of Art and Culture. His multidisciplinary practice provokes a rethinking of familiar romantic images of the North, as he explores complexities and contradictions in our relationship to the land and in the activities that signify it. His work has been represented in several recent exhibitions, including Great North Development Group at Gallery 44 Centre for Contemporary Photography in Toronto and The Road: Constructing the Alaska Highway at the Edmonton Art Gallery. 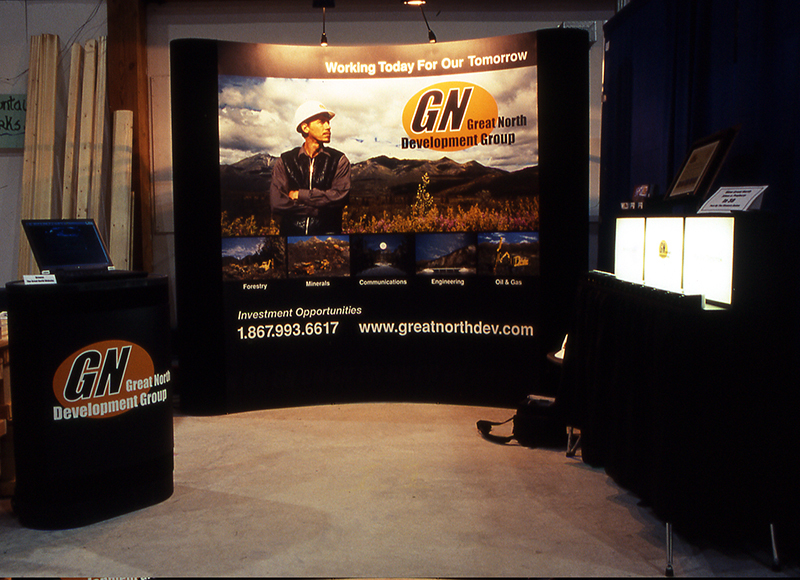 Mike Yuhasz, Trade show booth, from the series Great North Development Group (2001-5). Courtesy of the artist.